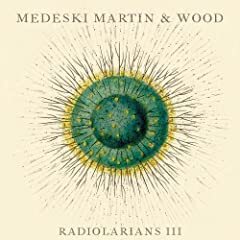 Restlessly inventive improvising trio Medeski Martin & Wood are set to release the third installment of The Radiolarian Series on August 4th, 2009. Recorded in December 2008, Radiolarians III perfectly sums up the themes, motifs and styles laid out in the previous two Radiolarians records. There is an epic feel at play here, as the choruses rise and swell out of low-lying grooves and polyrhythms. Highlights include the passionate and gritty traditional “Satan Your Kingdom Must Come Down,” the anthemic “Undone,” and the Latin-influenced acoustic opener “Chantes Des Femmes.” Overall, Radiolarians III finds the trio doing what they do best, melding genres and improvising. What results, is maybe the strongest and most cohesive album of the entire Radiolarians Series. no free download or torrent here. support indie music.